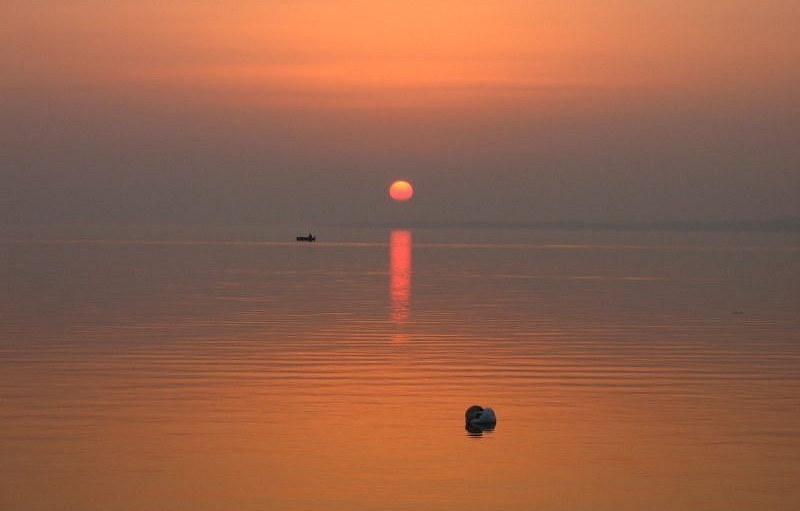 There are so many things to see and do that it's impossible to list them all so we have gathered here things you may want to try during a one week summer stay with some special interest and winter programmes at the end. For a map of the most common sights, please refer to the enlargable map at the bottom of this page. 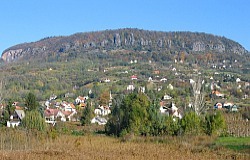 The most specific thing about Badacsonytördemic is Mount Badacsony that rises 438 meters above sea level. This is formed of volcanic basalt, as seen on the cliffs at the top of the hill, showing the results of erosion. It's a nice but somewhat demanding hike to the peak, also making use of the 464 steps on the way, but well worth it as you have several nice view points above the cliffs such as from the bottom of the huge cross of the late bishop Ranolder or from the brand new look-out tower erected in late 2011. 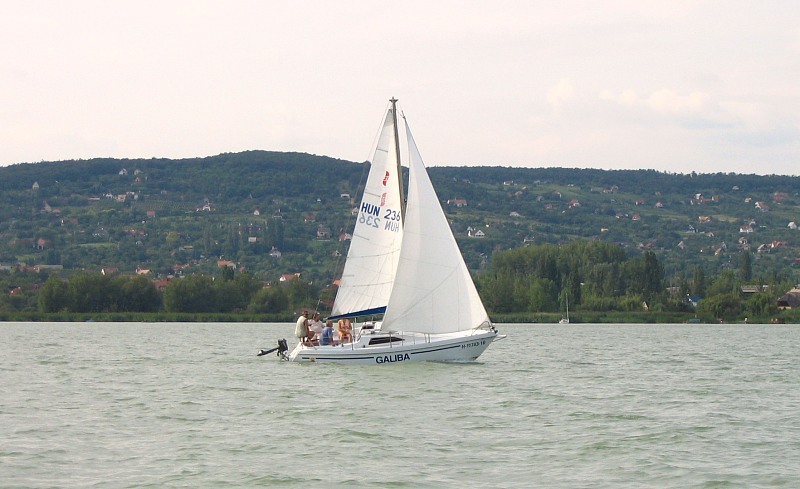 From these, you have great vantages of Lake Balaton and the surroundings, as well as the many vinyards dotting the slopes of Mount Badacsony. Our settlement is a former mining village and it's worth walking around what we call the "miner's colony". 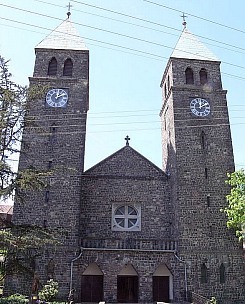 The mines closed in the 1960s so there are now very few people dwelling here who used to work in the mines. But the four huge strip pits can be visited, as well as the rock avalanches (piles of fallen pieces of rock) at the bottom of the basalt cliffs. We call these cliffs basalt pipes or basalt organs. 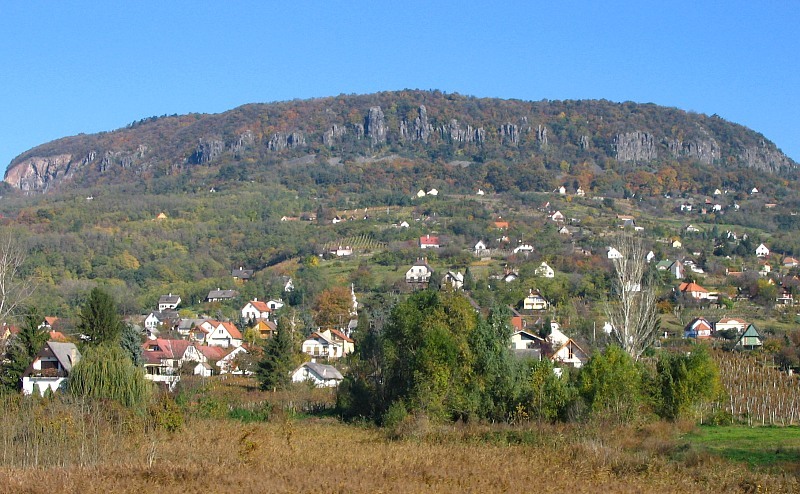 The best view of Mount Badacsony with the full range of these basalt organs is obtained from where our village has its small free beach, in Badacsonylábdihegy. 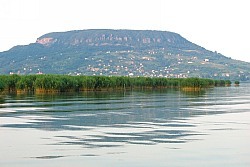 Alternatively, if you take a boat ride from Badacsonylábdihegy, the view of the hill from the lake is spectacular. 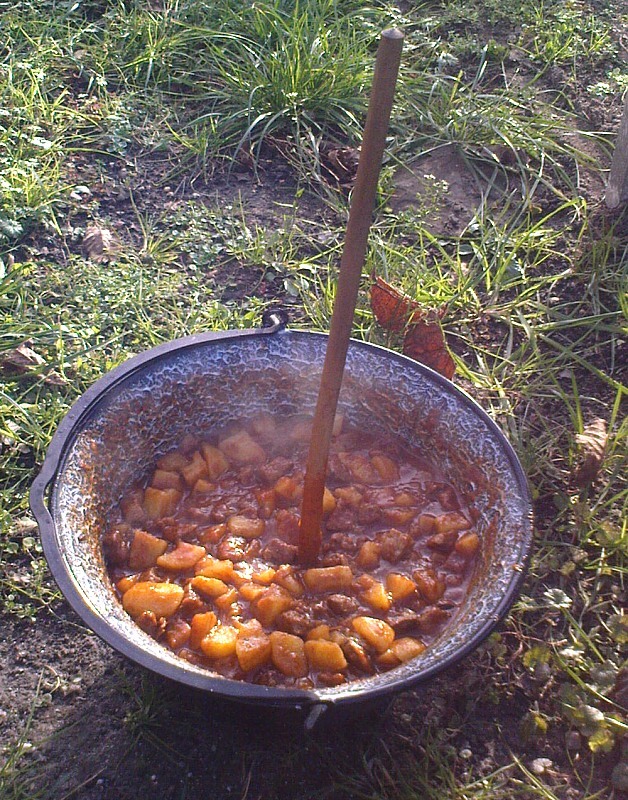 Our village also used to supply the workers of the railway line between Tapolca and Balatonfüred with vegetables. 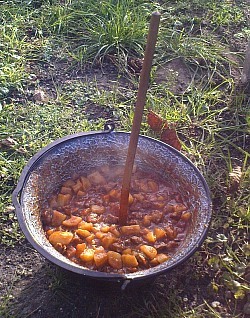 Growing vegetables is still very common in the village and neighbouring settlements. 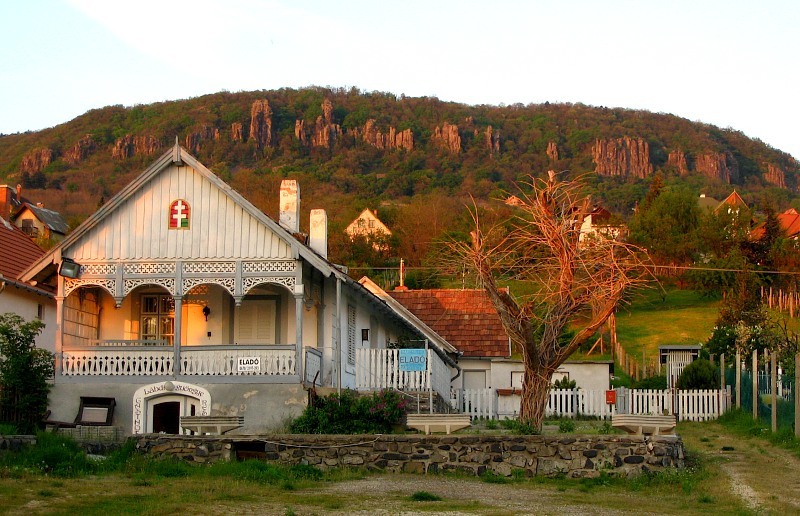 If you bike to the beach of neighbouring Szigliget, you will see several houses in that village where tomatoes, paprika, corn, grapes and other fruits and vegetables are grown and sold from small tables in front of the fence. Many of these are based on an honesty system with people leaving the money in a small box on the table. 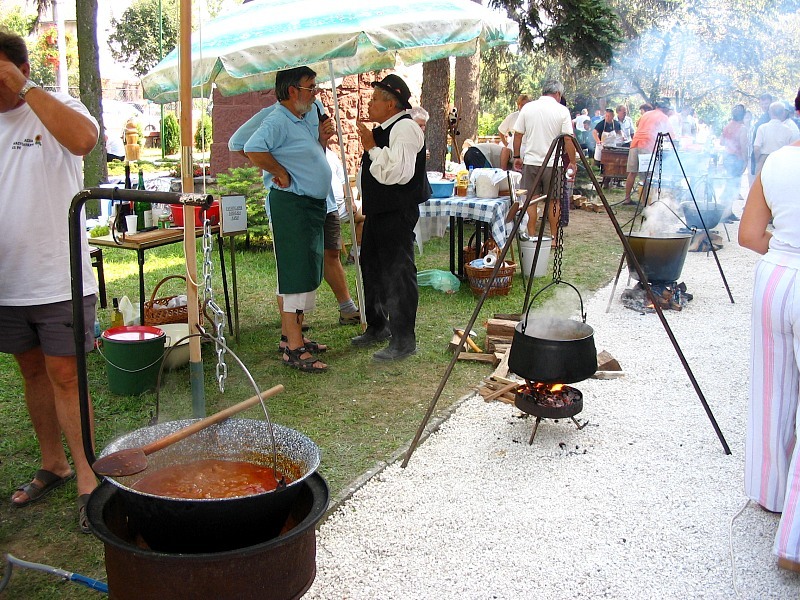 There are several festivities held in our village, ranging from the December mulled wine festival to the February jellified soup beaty contest and the village days that incorporate a goulash and wine festival, held in August. 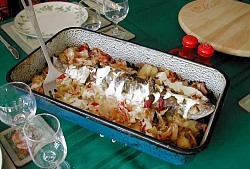 There is also a duck dinner with a presentation of freshly fermented wines (Beaujolais) in November as well as fish soup cooking and fishing competitions organised by the local fishing association. 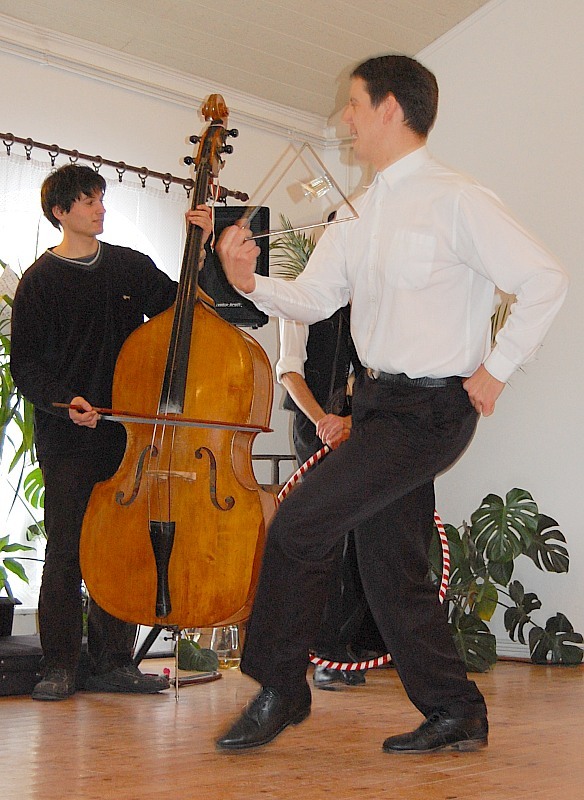 Photos from some of the events held in the past years can be found on the homepage of our village here and here. 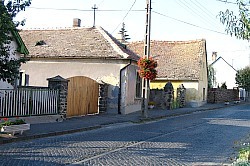 Located in a traditional wine growing area, Badacsonytördemic also has several interesting traditional press houses but the main street of the village, which is covered with cobblestones and lined with buildings that are often over 100 years old, also has a very unique atmosphere. 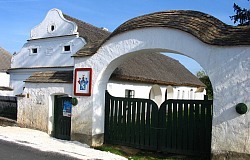 Our roman catholic church celebrated its 100th anniversary recently and there is a chapel in the Badacsonylábdihegy part of the village that was built in 1850. 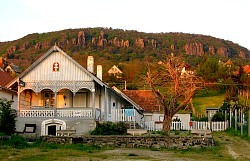 The mayor's office is the largest building in the village and it used to serve as the local school when the number of births was enough to maintain it. Inside you can usually find some kind of temporary local exhibition and surrounding the building are several old style grape presses. 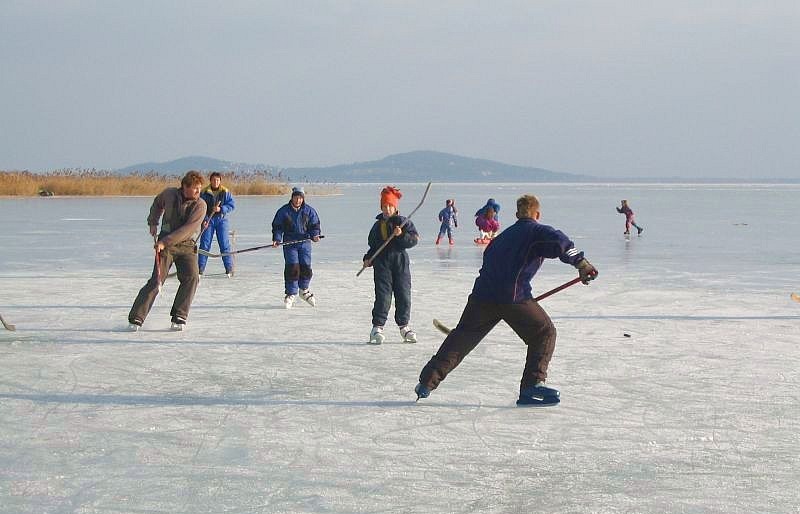 Of course, one of the main reasons that people visit the Badacsony area for is to have a nice summer holiday on the shores of Lake Balaton. 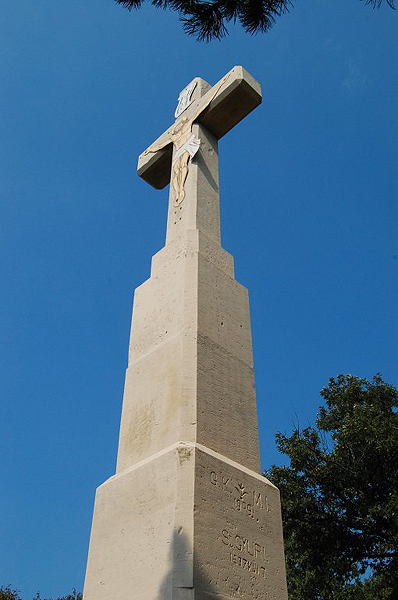 While Badacsonytördemic has its own beach in Badacsonylábdihegy, you may want to consider visiting one of the other nearby beaches in Szigliget, Badacsony or Badacsonytomaj. All of these are 3-4 kms away from the NOHAB Apartment and can be reached by bus or train, or even by bicycle. Our local beach is free but due to some pending developments the lakebed has not been cleaned of mud for several years. 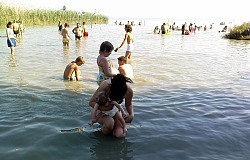 The most popular beach nearby is probably that in Szigliget and this can be reached from the apartment by bus in some 10 minutes. The bus fare and entrance fee to the beach will typically be under 5 euros a day. The beach has a shallow sandy area as well as playgrounds for children. 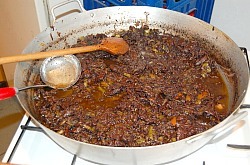 Several buffets on the beach do snacks to full meals and also serve draught beer (lager and dark), but bottled wine and wheat beer are also available beside the regular soft drinks. 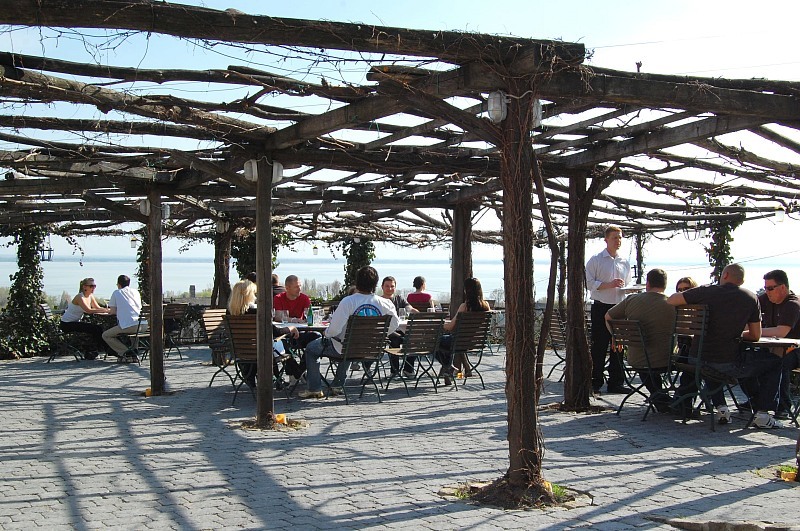 Just opposite the beach is a terrace restaurant which serves typical good Hungarian food. 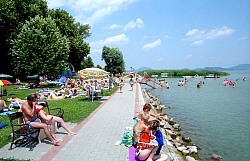 The beaches in Badacsony and Badacsonytomaj are similar but perhaps the selection of food and drinks are not so wide and have less trees that provide shadow. 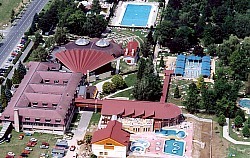 There are several thermal spas in the vicinity, the most famous being Hévíz and Zalakaros, which are 25 to 35 kms away. Hévíz has an open-air lake that you can swim in and both cities have several pools and hotels that offer bathing. 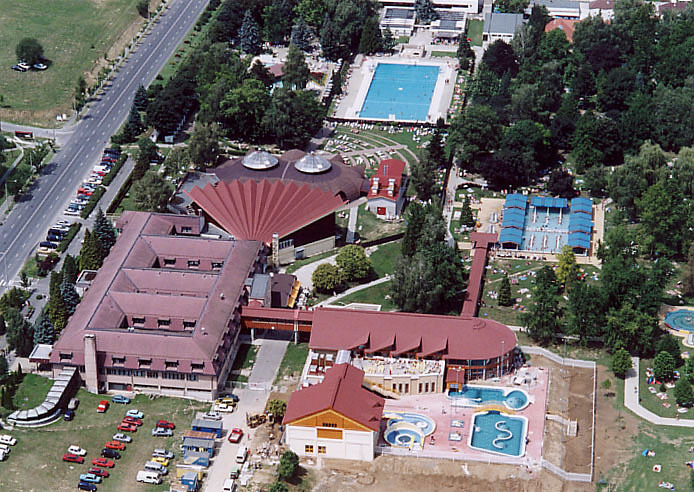 Other famous thermal baths within a 100 kilometer radius include Kehidakustány, Pápa and Sárvár. We will not list all the facilities here but just try to give you an impression of the widespread availibility of good food and wine. 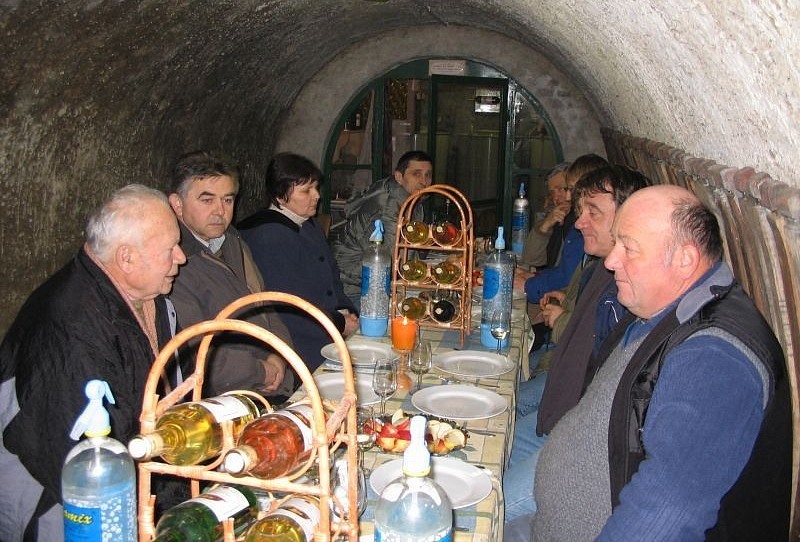 Our village has two restaurants that are open all year round. 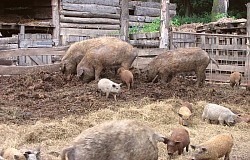 These have quite a local atmosphere, one of them just a minute's walk from our guest house. 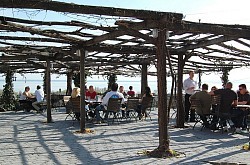 In summertime, there is also a restaurant open in the camping site next to the beach at Badacsonylábdihegy. 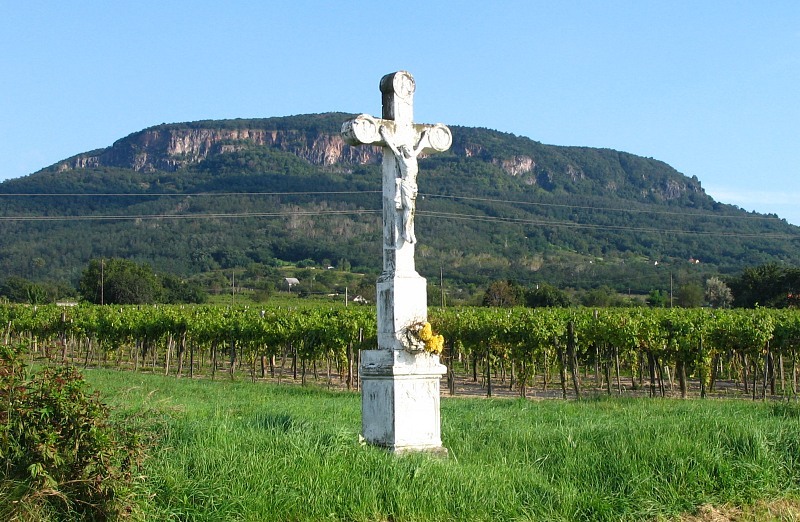 Badacsony and Badacsonytomaj (which are really the same settlement, 3-4 kms from our apartment) have several good restaurants that are open the whole year and since June 2011 a wine and spa hotel offers also a restaurant and wine bar. 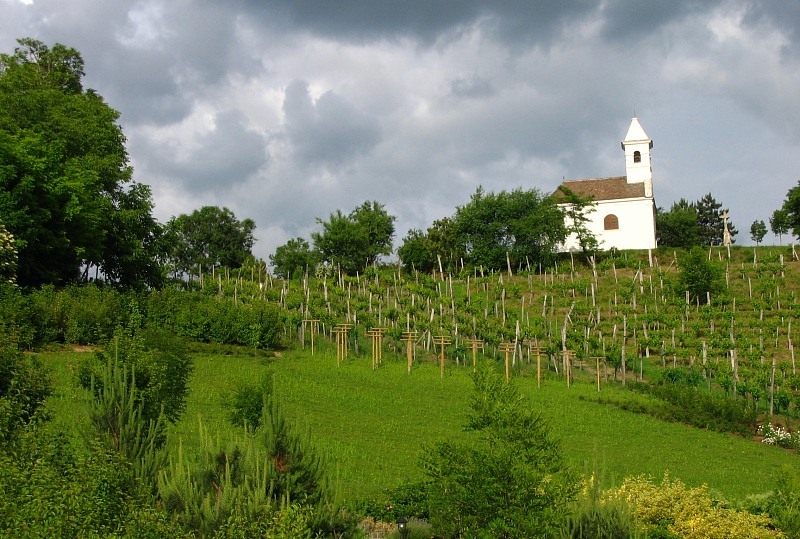 Some restaurants serve their own wine and all have wine from several local producers. 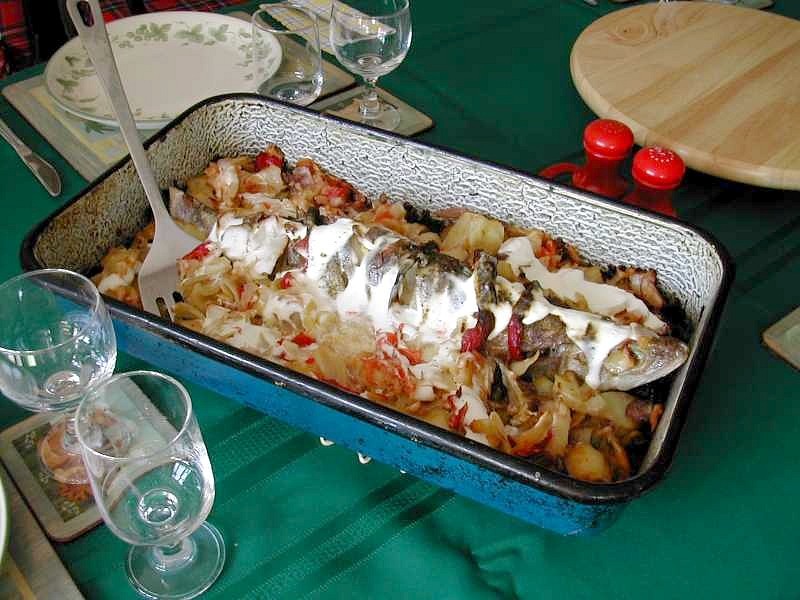 Hungarian cuisine is famous for its thick and spicy food but the restaurants will not overdo this and you will have the chance to taste our famous goulash soup, fish soup, stuffed cabbage, lecsó (tomato and paprika stew), pogácsa (salty bread-like biscuits) as well as the many types of meat dishes including local fish and pastries such as somlói galuska (spunge soaked in rum and topped with chocolate and whip cream). A very touristy thing to do in Badacsony is to eat from the food stalls (buffets) next to the railway station, which serve fish and chips and other fried and cooked food. 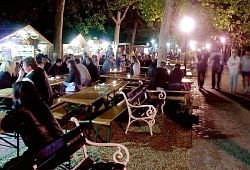 Szigliget also has three restaurants that are open each day of the year while a couple of restaurants and buffets at the harbour and the beach, mentioned earlier, are open in the summer season. 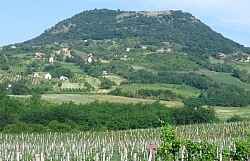 Wines from Badacsony have a special character due to the very mineral (basalty) terrain. 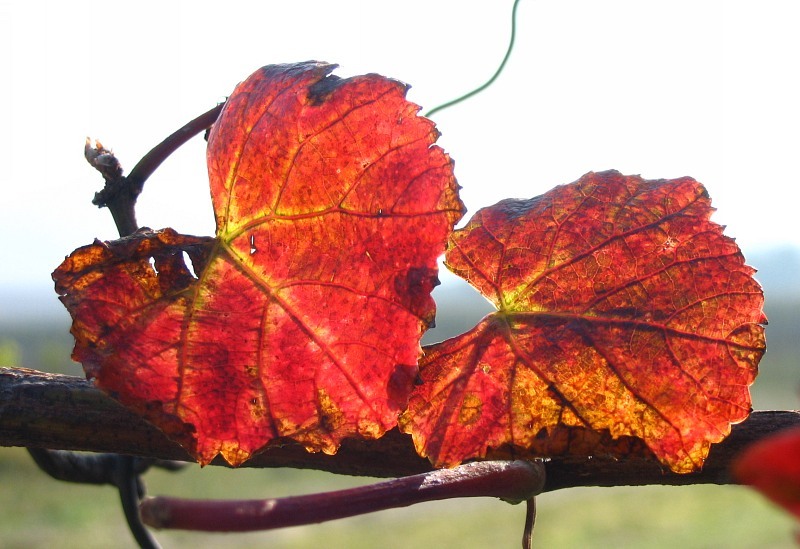 This will lend a sometimes sweetish taste to the wines, especially if aged long. 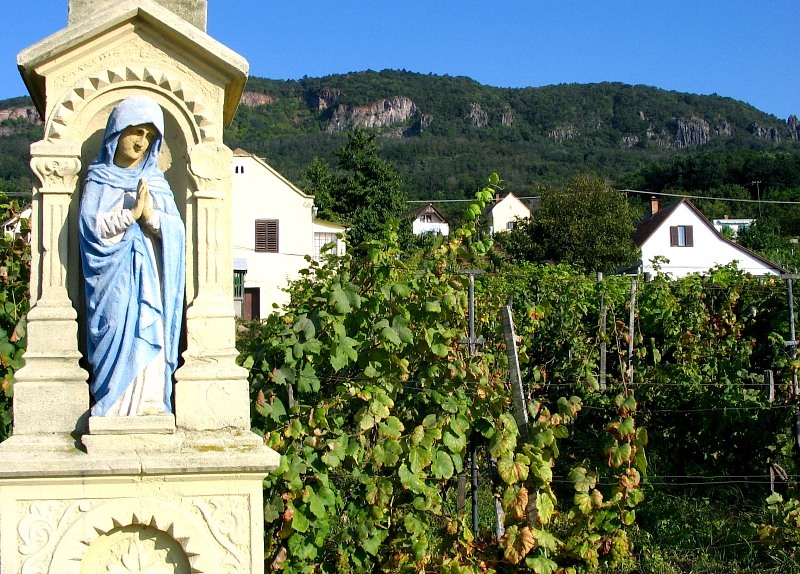 Consuming semi sweet Pinot Gris in the buffets of Badacsony is a favourite programme for one day visitors but there are also more relaxed and cosy ways of enjoying the produce of our local viniculture and the main product is still dry wine of which a large selection is available. Several wineries or wine cellars are open all-year round and offer wine tasting programmes and their wine for purchase. 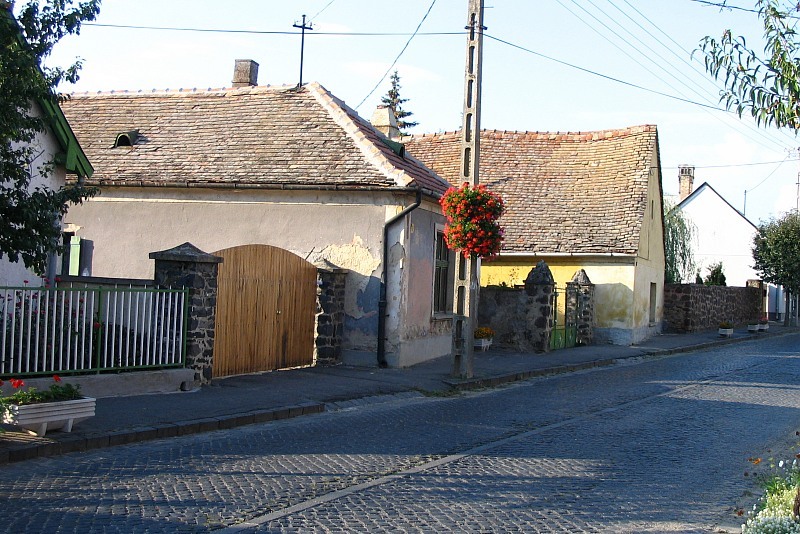 The village of Badacsonytördemic has mostly local producers where our guests can visit upon prior arrangement while Badacsony, Szigliget and Szent György hegy (Saint George Hill) have several producers each who can be visited in opening hours without prior notice. 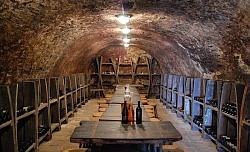 Most wine cellars do not offer food or only if ordered in advance but we will be happy to arrange this for you. There are also several wine shops in all these villages including one just up the road from us. The annual wine festival is held in Badacsony each summer next to the harbour, which is just opposite the railway station. 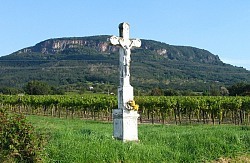 In 2012, the wine festival will be held between 14-31 July. 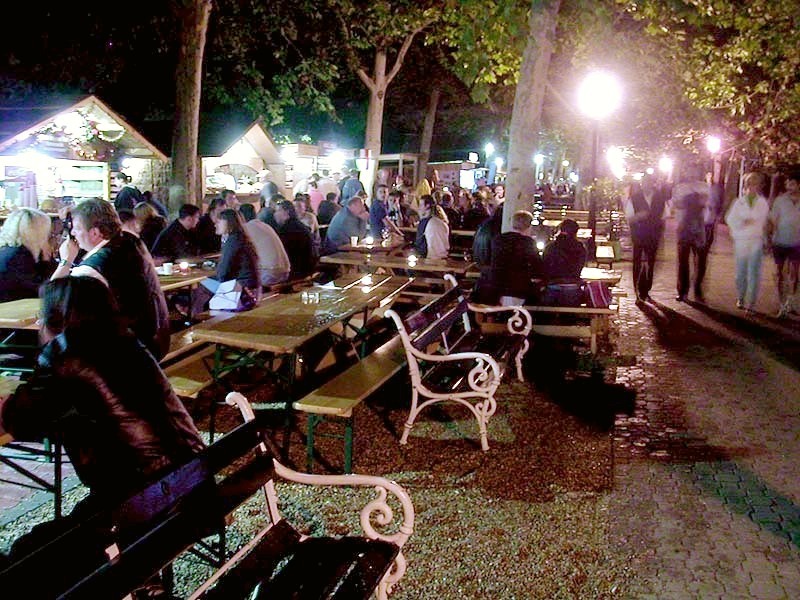 There are also famous wine festivals in Balatonfüred and Balatonalmádi, which can be easily reached by train in an hour or less and your return trip will allow you to stay there until 9 PM. 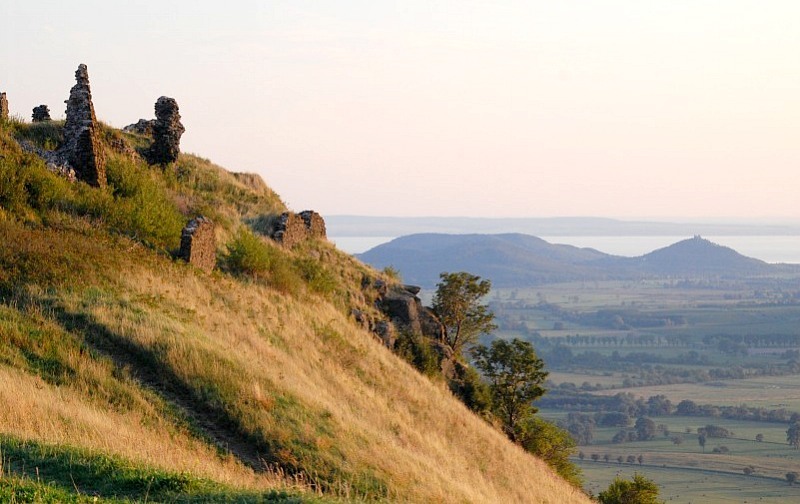 Apart from visiting Mount Badacsony with its look-out points, basalt cliffs and strip pits of the former open-cast stone mines, one can make hikes to other nearby hills such as the castle ruins in Szigliget or on the Csobánc hill at Gyulakeszi, 7 kms away. The large castle of Sümeg can be reached by car in 20-25 minutes and here you have the chance to consume a mediavel dinner in the cellars including a horseback knight show. 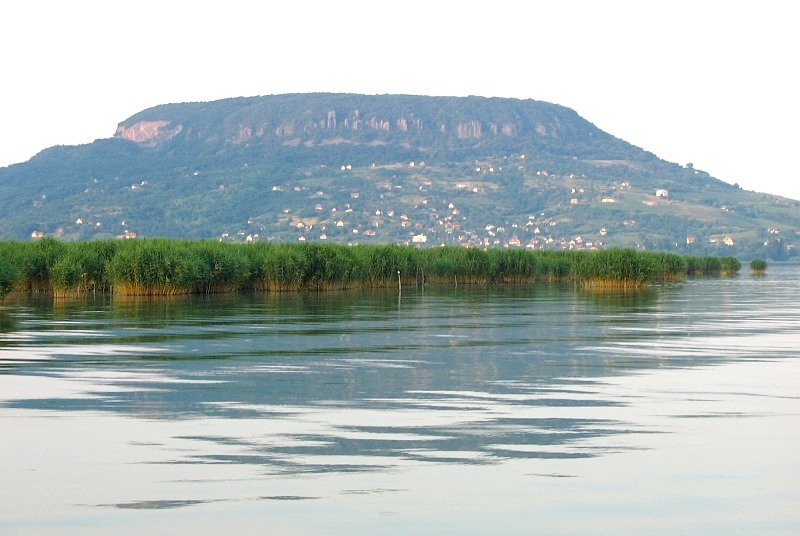 There are Roman remains all around Lake Balaton but not readily available to view. 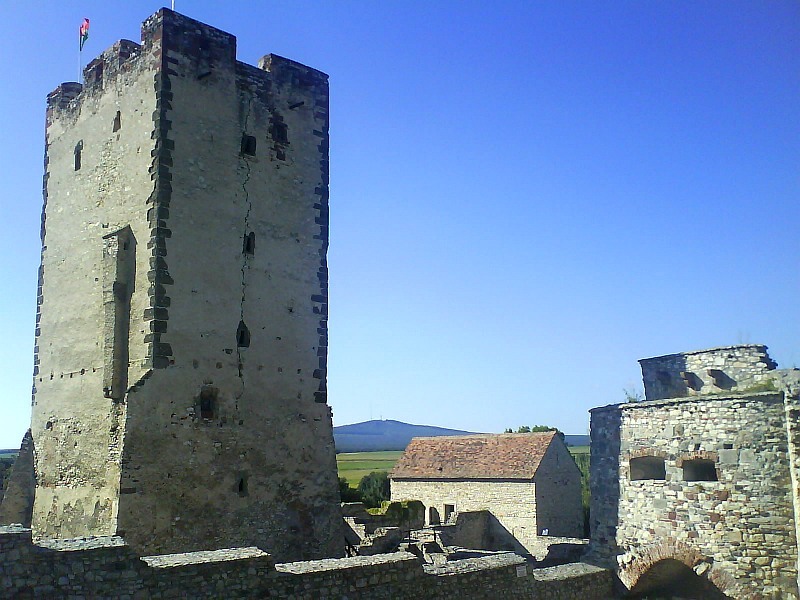 A Roman villa in Badacsony is covered by the Lake but Roman age arches in the support walls of the thermal lake in Tapolca can be easily spotted and ruins of the Roman town of Valcum at Fenékpuszta (25 kms from our apartment) are not advertised but can be visited on your own. 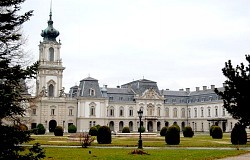 Other old buildings include the magnificent Festetics palace in Keszthely that can be visited with the museum's own guiding services, also available in English, in slippers provided by the staff. An old mansion in Fenékpuszta now serves as temporary housing for the small local community and is thus appropriately run down but still looks impressive, especially with the rows of chestnut trees leading to it. 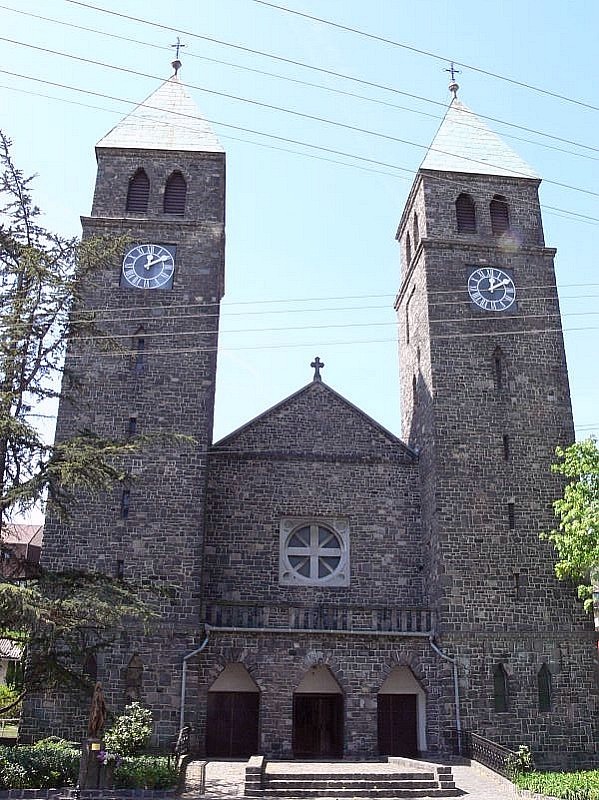 Furthermore, several nice churches and chapels are to be found in the area of which the twin towered church in Badacsonytomaj, erected entirely from grey basalt stones mined locally, should be mentioned. 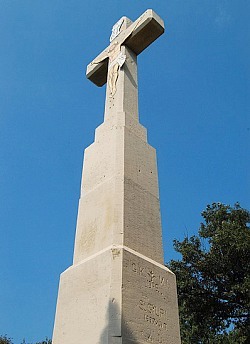 This is unique and a similar one is supposed to be found only in northern France. The Lengyel chapel on Szent György has is in a very nice setting and has the nicest interior of all churches in the region while the small Romanesque church ruins in Szigliget date from the early centuries of Hungarian culture in the Carpathian Basin (13th century). Of the several museums and galleries in the surroundings, those of painter József Egry and of a celebrated local lady, Róza Szegedi, both in Badacsony, as well as the African collection in Balatonederics (10 kms from our apartment) should be definately mentioned. 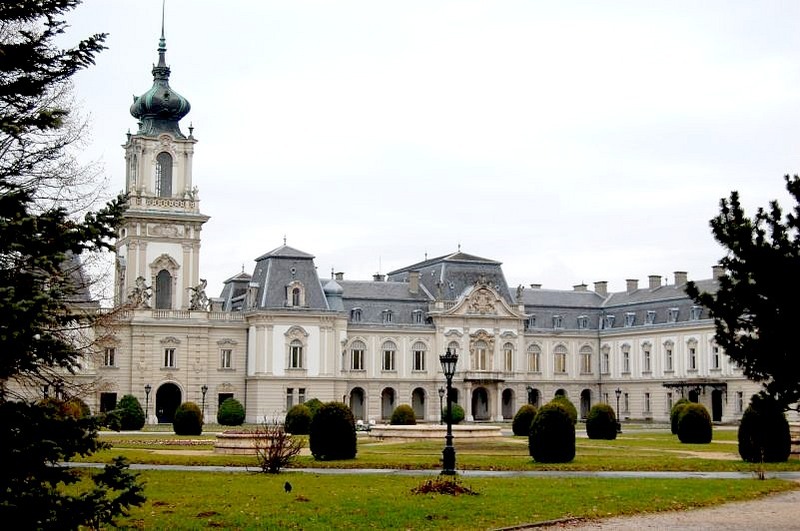 Apart from several smaller local exhibits ranging from wine making history to presentation of old schools, the museums of Keszthely definately deserve to be noted. 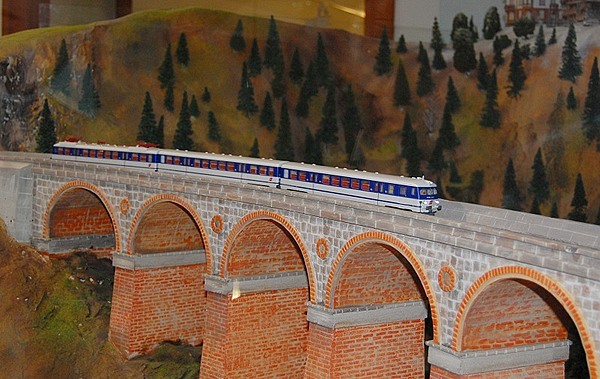 These include museums of hunting, horse-drawn carriages, puppets and Europe's third largest model railway exhibiton. 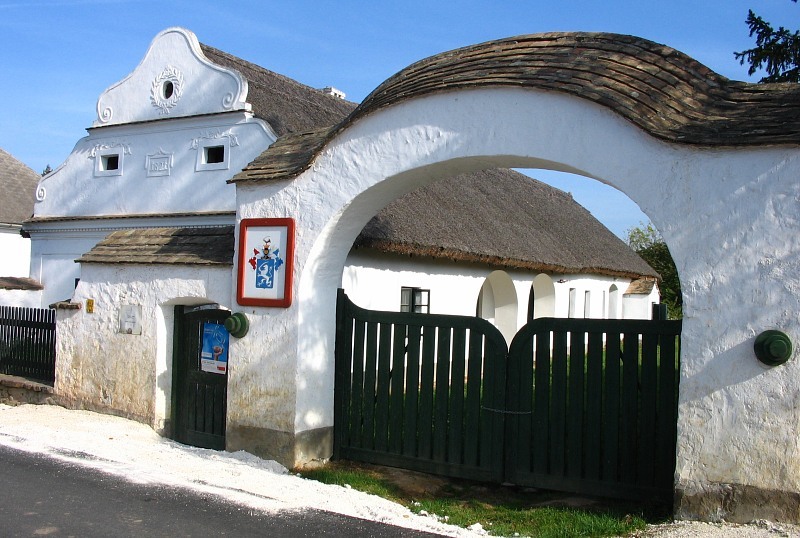 The string of villages betwen Tapolca and Nagyvázsony (in the direction of Veszprém) are called The Valley of Arts as each summer there is a week-long festival of theatrical and music performances visited by poeple from even the very distand parts of Hungary for its special atmosphere. 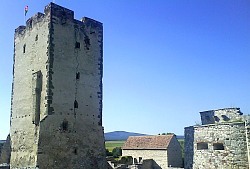 The Kinizsi tower castle in Nagyvázsony is also an interesting medieval site with their own medieval festivities. 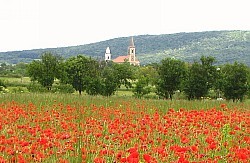 The Valley of Arts is dotted by several former watermills of which almost 40 were once situated along the Eger creek, flowing towards Lake Balaton. 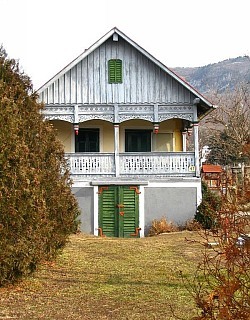 In the very center of Tapolca, a watermill on the so-called Mill Lake (Malom-tó) is preserved and hosts a small hotel and a fine restaurant. 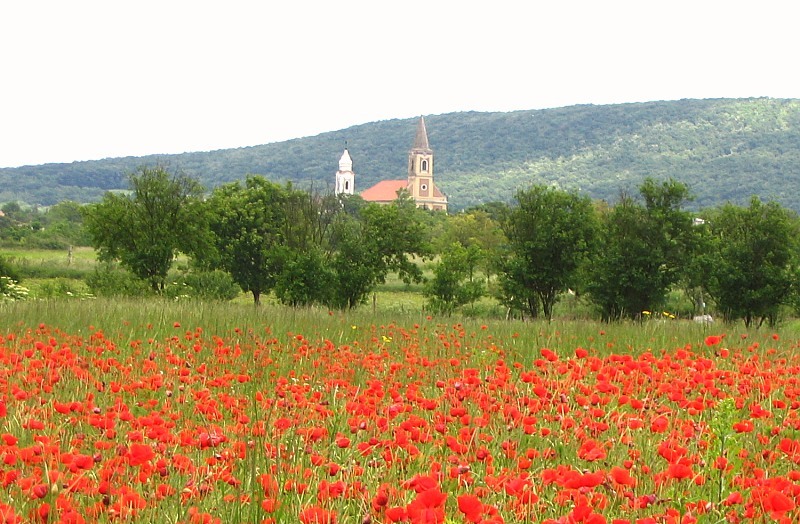 The village of Badacsonytördemic lies in the Balaton Highlands Natural Park, created in 2007. 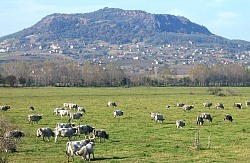 Of the natural beauties of our surroundings, the former volcanic hills and basalt cliffs have already been mentioned. 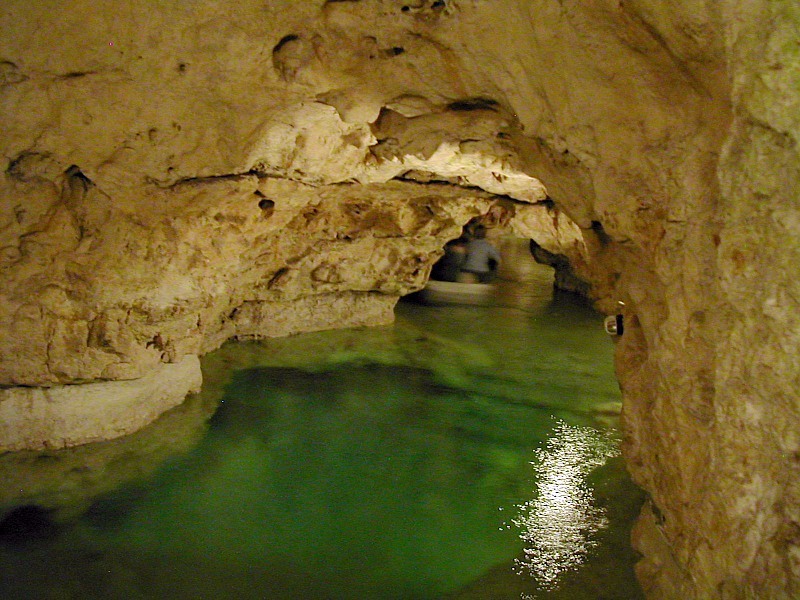 Thermal water feeding the Mill Lake of Tapolca originates in the caves underneath the city, part of which are used for healing cures by the local hospital while another section of the cave system incporporates a small circular undeground lake that visitors may row on. A huge extension of the cave system has only been discovered a couple of years ago and can only be visited by professionals. An interesting dripstone cave called Csodabogyós barlang can be visited by the public in Balatonederics. 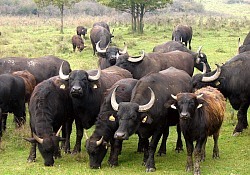 On the western edges of the national park, the so-called Small Balaton, a swampy area that serves as an ornithological reserve, can be visited including a buffalo farm. 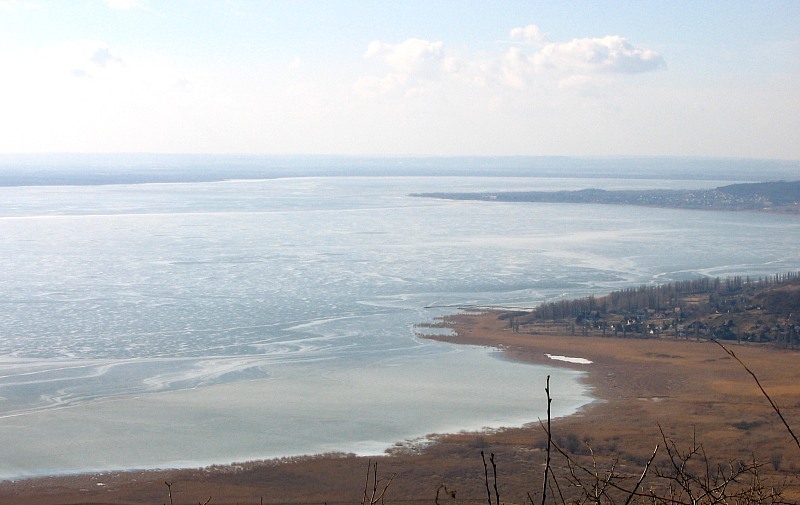 With special permission from the national park headquarters, the restricted areas of the Small Balaton may also be visited by registered ornithologists, guided by national park staff. 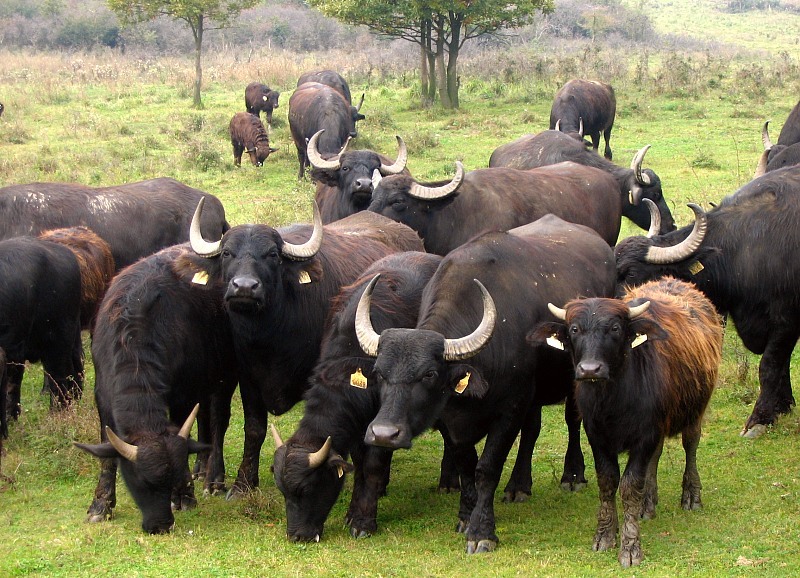 Buffalos, other domestic animals and horse-shows may also be seen in the showcase farm of environmental protection at Salföld, some 10 kms east of Badacsonytördemic, also run by the national park. 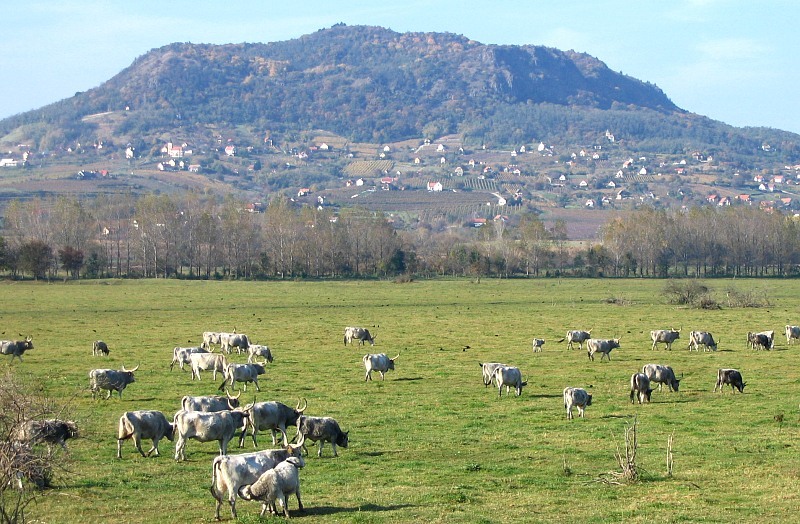 The Káli Basin from Tapolca to the bare cliffed hill of Hegyestû is also home to the village of Kékkút, where the Theodora Quelle and Kereki springs produce very good mineral water. 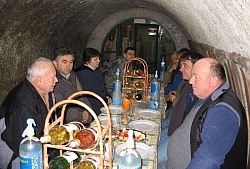 A tap outside the fence allows visitors to taste the original mineral water with high levels of iron content, that is detracted prior to bottling. Lake Balaton offers visitors swimming, sailing, surfing, rowing, canoing, jet skiing facilities and so on. There are tennis courts, a huge golf course and several sports complexes within 10 kms from the NOHAB Apartment and you may also go hiking or horseback riding in the surroundings. 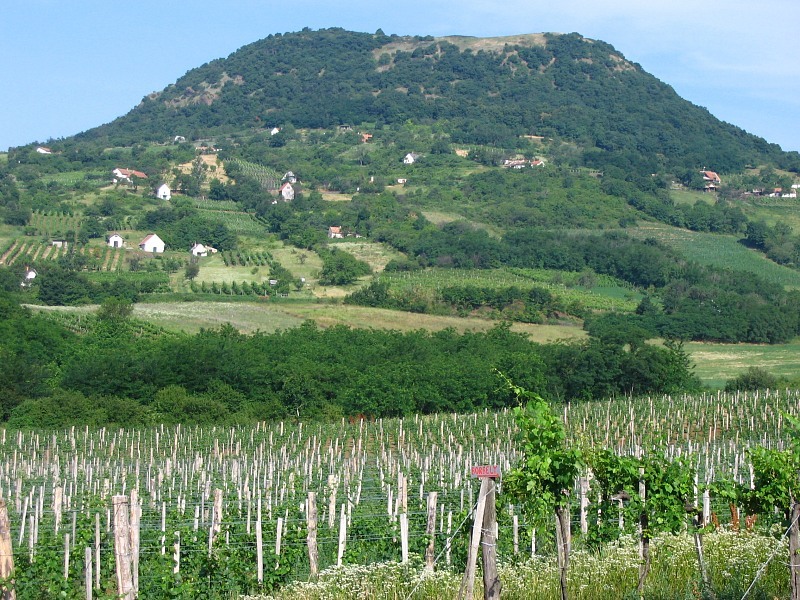 Csobánc hill, 7 kms away, is a favourite spot for paragliders and you may take a sight-seeing flight by propeller driven airplane or even a hot-air balloon from Keszthely (20 kms away). 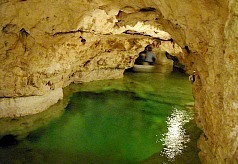 As mentioned already, there are a couple of caves, too, that can be visited nearby. It is also common to roam the land in search for mushrooms, which can be quite sporty in itself! 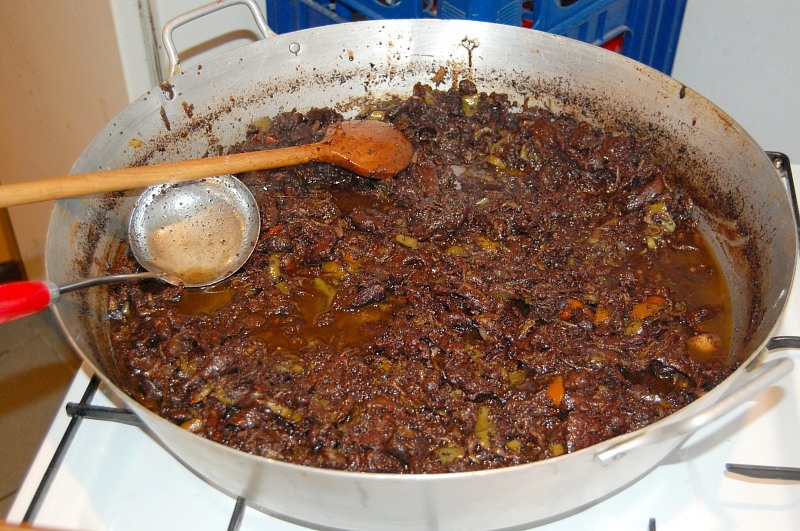 Should you like to have your own meal of mushroom stew made of mushrooms picked by yourself locally, we can arrange for an experienced mushroom picker from our village to guide you through some forests, provided the weather is suitable for growing mushrooms and that the man is available. The best period to search for mushrooms is usually August and September. 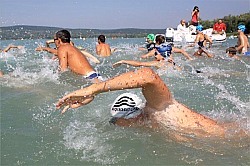 Each year the cross-lake swim is organised in July - or whenever the weather permits. 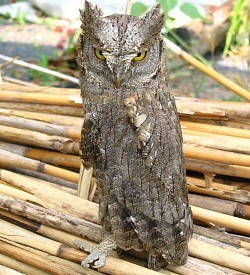 Some years it is postponed two to three times due to rain or high waves before being blown off. But most years it happens and you have to swim some 5.2 kms from the northern shore to the southern. The swim (called Balaton átúszás in Hungarian) starts at Révfülöp, just 10 kms from our apartment and the finish line is at Balatonboglár. Rows of rescue boats parallel the swimmers and guide them in the right direction. When we have a dry year, up to 50 cms of water from Lake Balaton may evaporate so the beaches on the southern side get even shallower, allowing you to walk the last few hundred meters. In 2012, the swim is planned for 7 July (with reserve dates of 8/14/15/21/22/28/29 July) and a doctor's check on the spot is required before being allowed to start (from 8.00). In sunny weather it's good to go as early as possible and to protect yourself with sun lotion and a hat to avoid getting sunburnt! 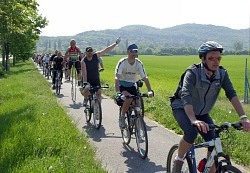 Another organised mass sports event is the long-distance hikes of our neighbouring hills. 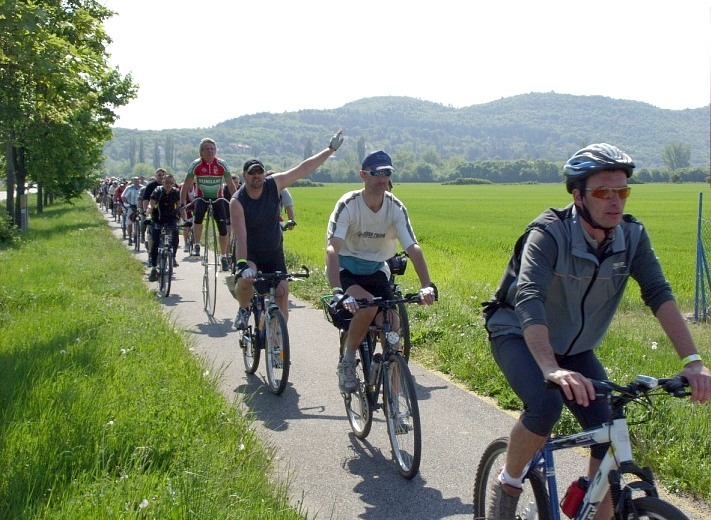 Organised by a hiking association from Budapest and assisted by the municipality of Badacsonytördemic, you may chose from different length routes up to 50 kms. If you thought walking is not very tasking, think again as doing 50 kms in 12 hours while climbing 3-4 hills with 300 meters height difference each will surely make your legs shake by the end of the day! I personally did a trip of 110 kms in 25 hours when I was 18 and several trips of 50 km, so it can be done, you just need the determination for it! 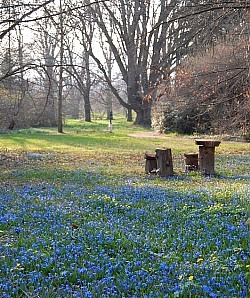 In 2012 this is planned for 26-27 May. Hungarian winters are not anymore so harsh as they used to be. 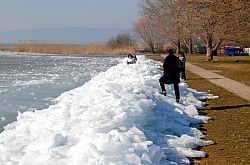 The month of February in 2012 proved that the sub-mediterranean micro-climate Badacsony results in temperatures that are generally 5 degrees Centigrade above the average in Hungary. However, when enough snow falls and the cold sets in, you may enjoy cross-country skiing, skating or bilge fishing on the frozen surface of Lake Balaton. 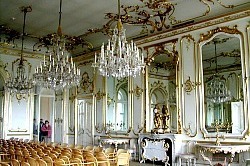 Most museums and restaurants are also available in wintertime. 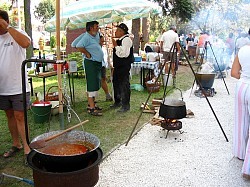 The mulled wine and jellified soup festivals of Badacsonytördemic in December and February are supplemented by the fish festival in Szigliget, which in 2012 will be held on the beach as usual, on 20-22 October. 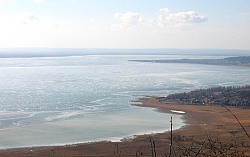 In wintertime the Lake Balaton region is generally much more quiet than in the summer and some people therefore prefer to visit at the time of the autumn harvest or in early spring. The winter is also nice and if you are fit, you can watch wildlife in the surrounding forests and fields much easier than in the lush summer. 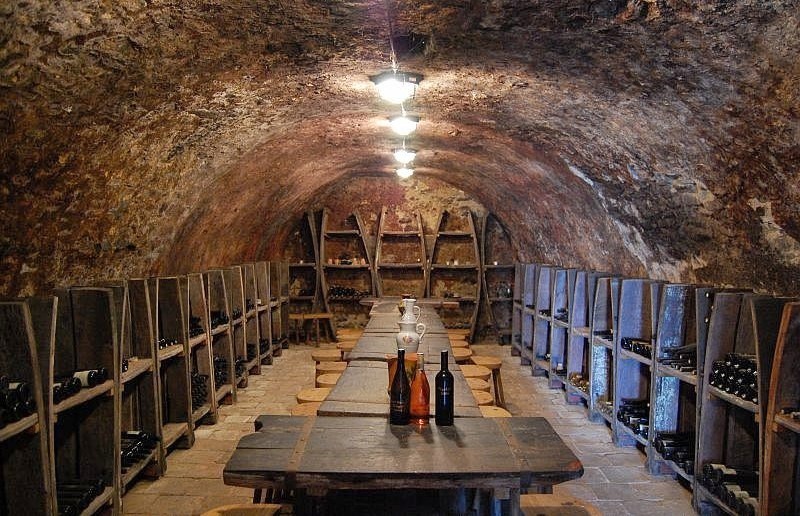 The winter is often preferred for visiting thermal spas and wellness facilities, as well as enjoying wine tasting in the shelter of wine cellars. Hikers will also find touring in the winter calmness of the surrounding hills and forests pleasant. 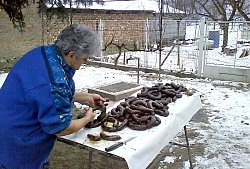 Winter is also the traditional time for pig slaughter. 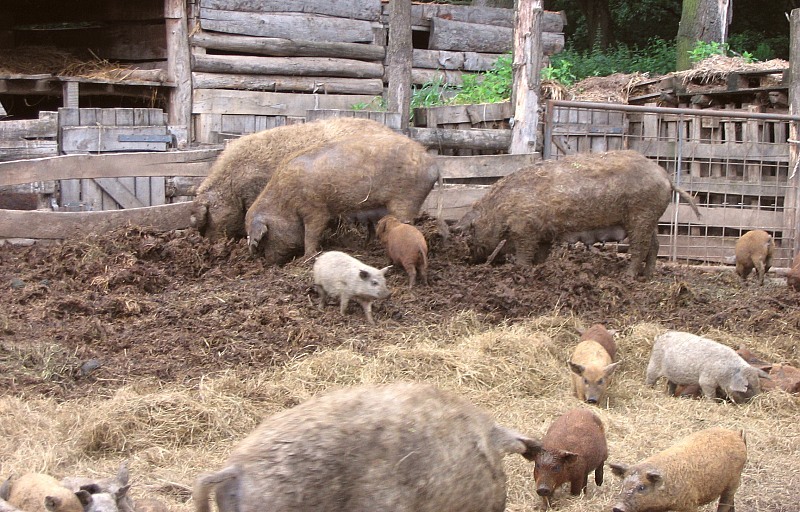 Many families keep pigs to provide themselves with meat during the year and while killing a pig may sound brutal, it is common practice in Easter Europe and producing the sausages and hams is an occasion for families to get together. 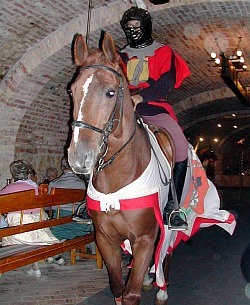 There are some wine cellars or hotels who offer such programmes for guests. 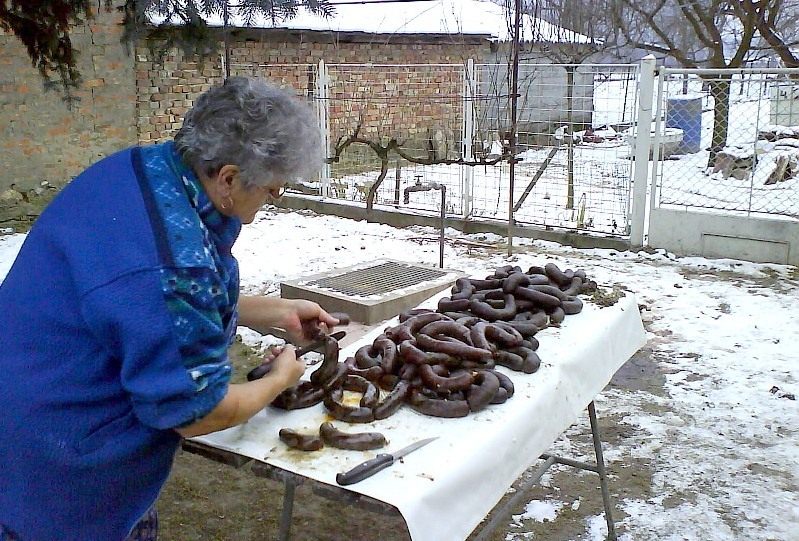 Even if you do not take part in the actual slaughter, the processing of the meat and tasting freshly baked sausages, as well as local spirits and wine, is very a memorable experience. 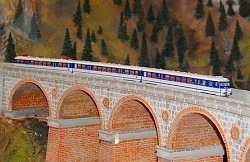 For anything to do with trains, please visit our Railway pages. We love biking, nature, wildlife and traditions and also have good contacts to the ornithology society as well as hiker's clubs. 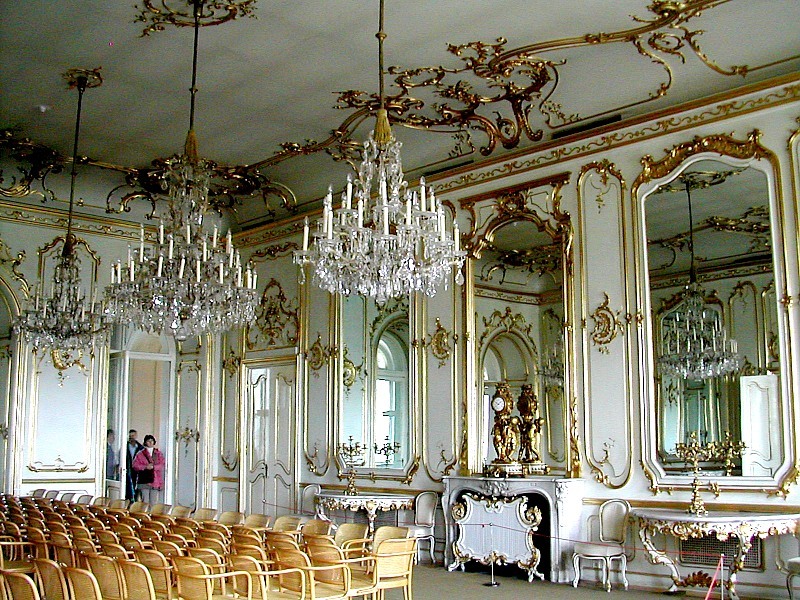 Therefore we will happily arrange for you, if possible, to search for your favourite bird, orchid or buildings with the architectural style you are most interested in, as an example. 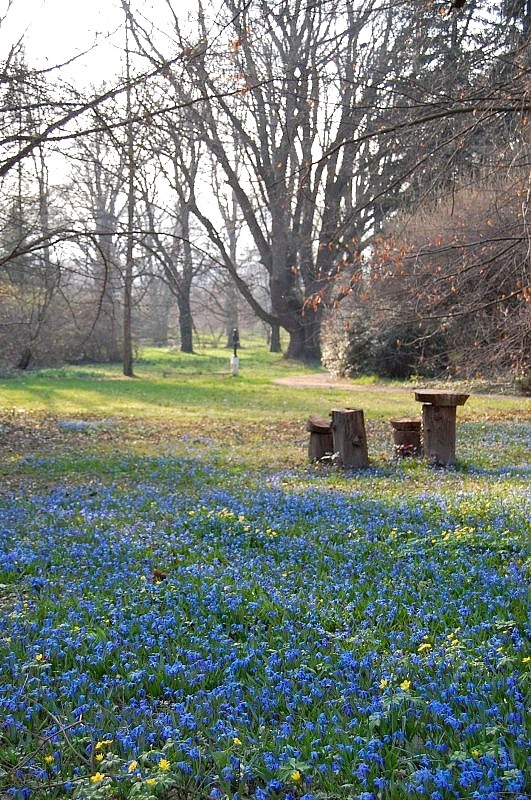 I will happily visit the ornithology camp at Fenékpuszta (25 kms from our apartment) or go hiking with you and even conduct complete sight-seeing tours, should my full-time job and family commitments allow that. 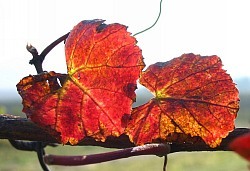 Taking part in the fruit or grape harvest is also a possibility, as well as joining local people for fishing or possibly even hunting, if the season allows. 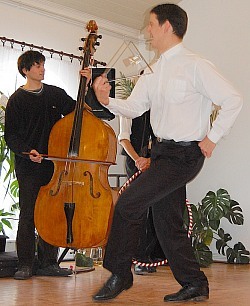 Some of these programmes can not be exactly timed or even guaranteed but we will try our best to arrange events matching your special interest. You may also want to observe or take part in cherry picking, jam cooking, pruning the vines, or any other seasonal local activities. Should you be interested in any of the above possibilities or have a question regarding your special interest, please e-mail us. We will come back to you shortly with our suggestions and calculated costs.